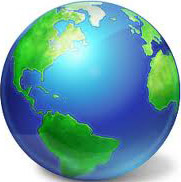 The examination system all over the world keeps on changing as science and technology continues to evolve and develop. The sole objective is ‘improved patient care’. The current examination system is primarily aimed not only to evaluate the factual or theoretical knowledge, but also the conceptual understanding and the analytical power of the candidate. To qualify any examination system, besides the textbook knowledge, a candidate is expected to demonstrate the skills of clinical examination and data interpretation, the art of communication, decision-making and the management issues. 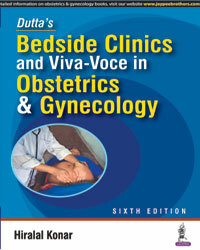 With this sole determination the book “Bedside Clinics and Viva-Voce in Obstetrics and Gynecology” has been written. This book is intended for the students at their final phase, while preparing for the examination. The book needs to be read and reread to develop a solid grasp of each topic as it contains a huge wealth of the new material. • Above all, the information is up-to-date, evidence-based, and the reading is simple and enjoyable. 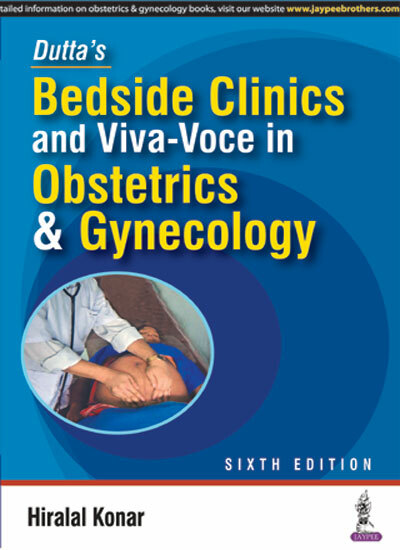 Bedside Clinics and Viva-Voce in Obstetrics and Gynecology is equally essential for the homeopathic, ayurvedic, and nursing students and also the midwives. The postgraduate students will find it informative and time-saving. Specialists and practitioners will be benefitted as they like to refresh and update their knowledge. It is a handy book that helps quick revision and memorization. It aims to sharpen the clinical skills as well as the art of communication.